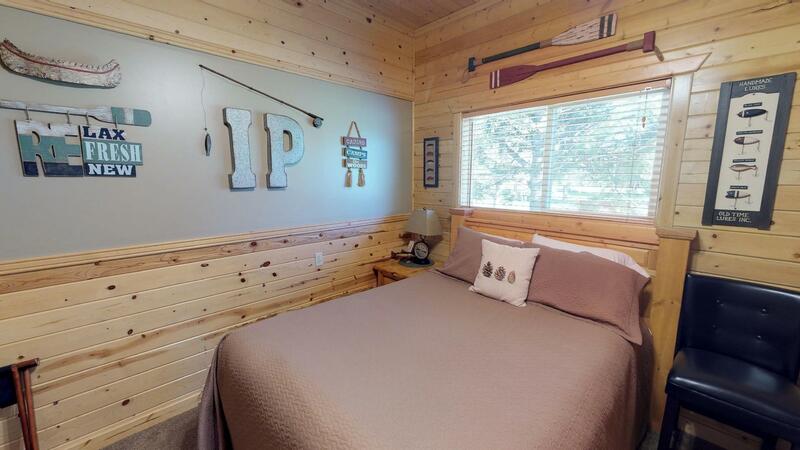 This cabin offers many things like a child's playground, basketball court, volleyball net, and picnic pavilions. With plenty of seating in this cozy living room your whole family can watch a game or movie together. The living room also has a fireplace and a flat screen t.v. with satellite. 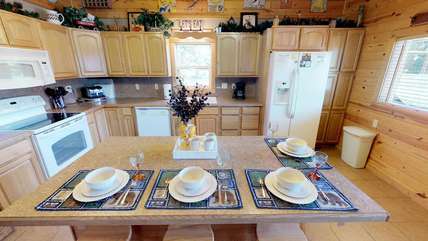 The kitchen has pots, pans, plates, bowels, cups, utensils and anything else you might need. The island provides additional seating. 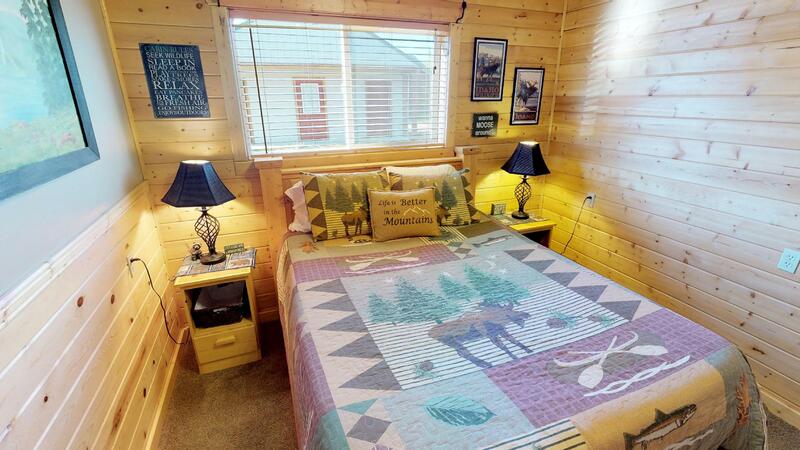 With lots of seating and cute decor you'll never want to leave this area. 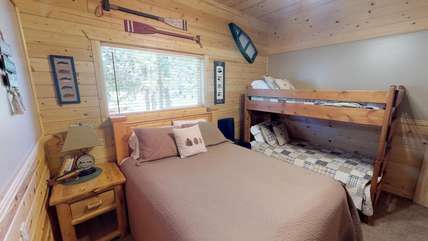 Bedroom 1 has a queen bed as well as a bunkbed. Bedroom 2 also has a queen bed and bunkbed. 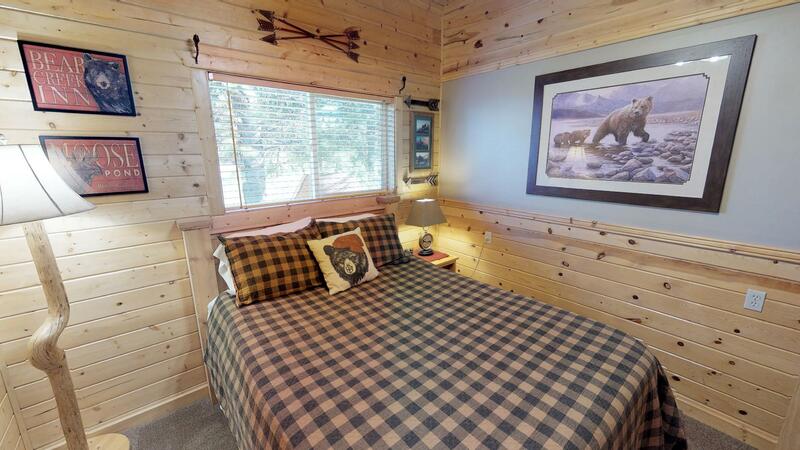 Bedroom 3 has a queen bed and is bear themed. Another view of the bear room. 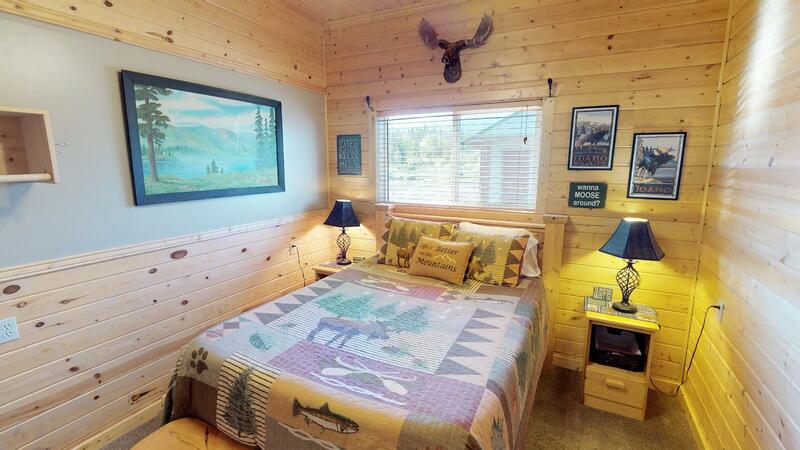 Bedroom 4 is moose themed and contains a queen. One of two bathrooms located in the cabin. The second bathroom that also has a tub. 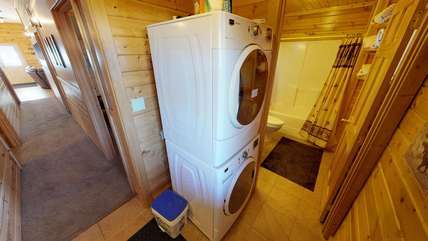 A washer and dryer available for your use while staying at Black Bear'ry Inn. 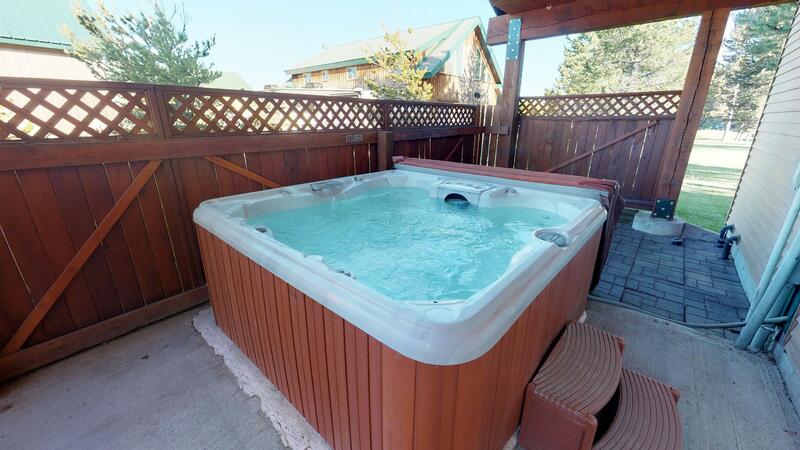 A secluded and private hot tub is one of the special things about this cute cabin. 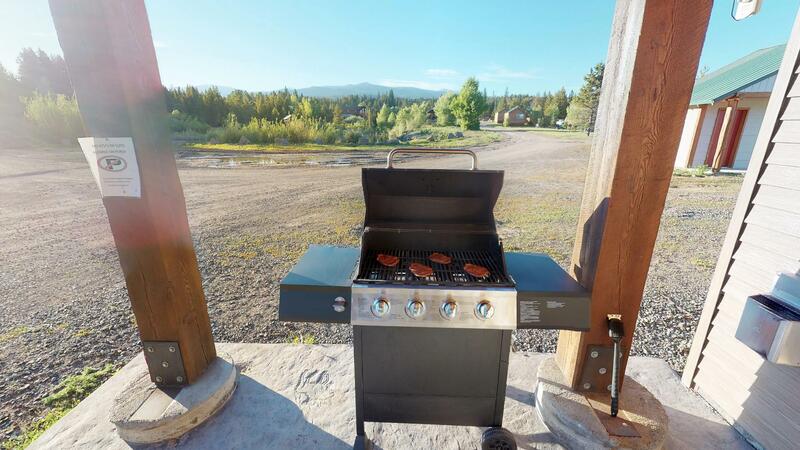 A barbecue available for all your grilling needs. 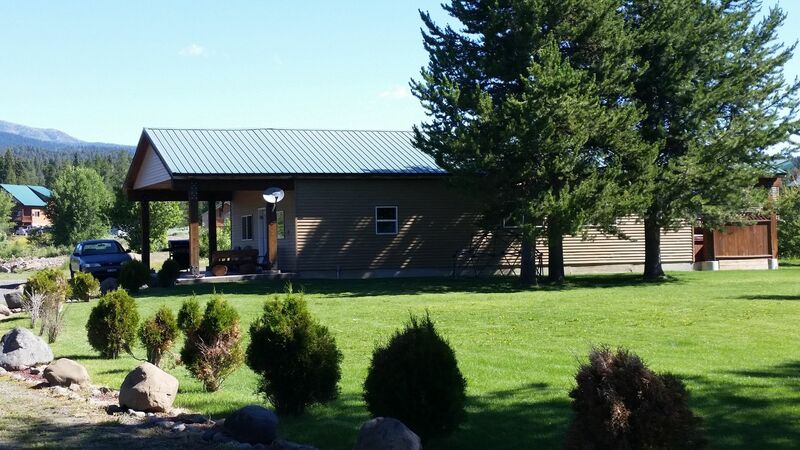 A nice patio is perfect for relaxing and enjoying the fresh air. 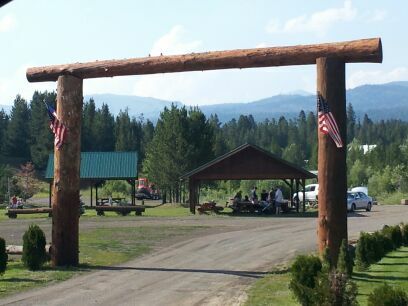 Beautiful green grass and trees make the enchanted forest gorgeous. 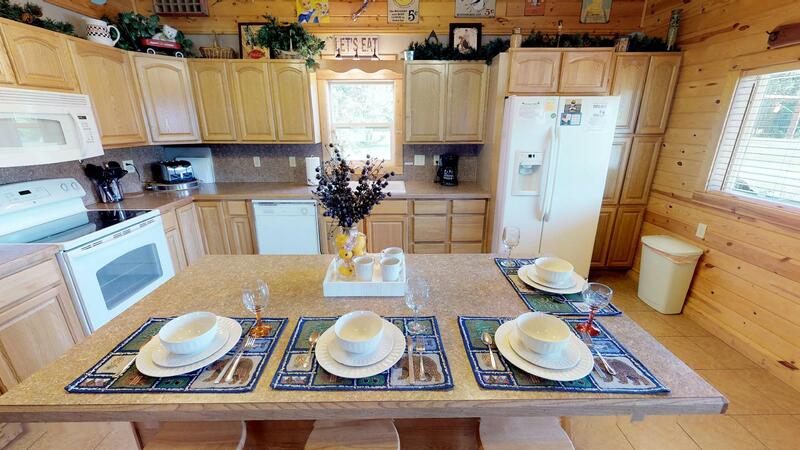 The picnic pavilions are great for family reunions at the enchanted forest. One of the amenities that the Enchanted Forest has to offer. 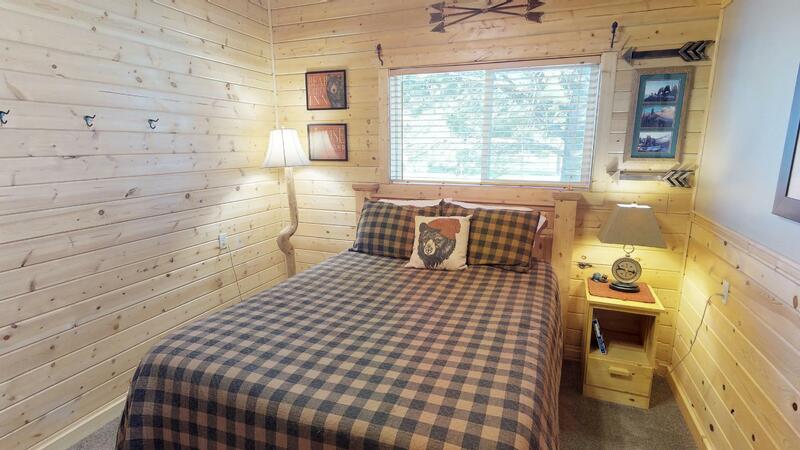 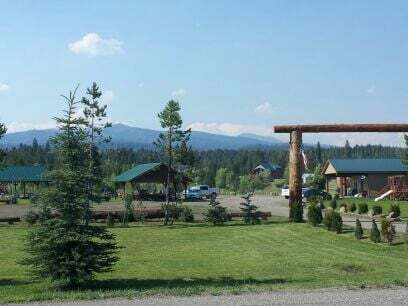 Our Black Bear'ry Inn is a great home base for your Yellowstone adventurer. 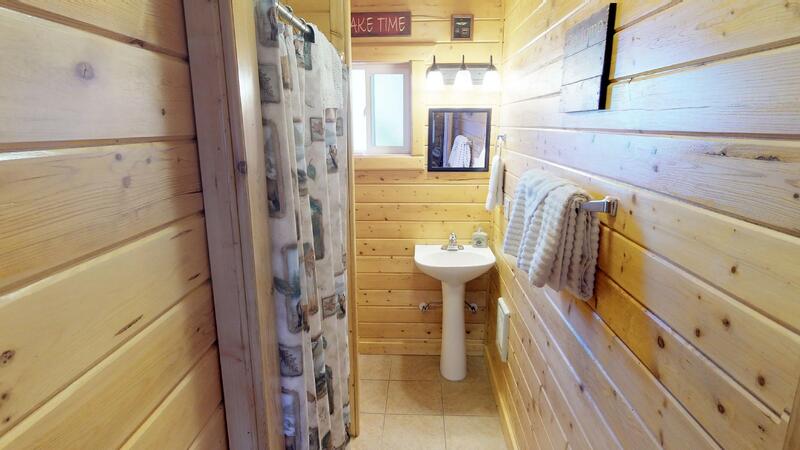 The cabin sits on a 10 acre piece of property that is shared with other cabins. The West entrance to Yellowstone is about 35 minutes away and is a very scenic and beautiful drive through the targhee nat’l forest. This 4 bedroom, 2 bath home is all on one level and very easily accessible. 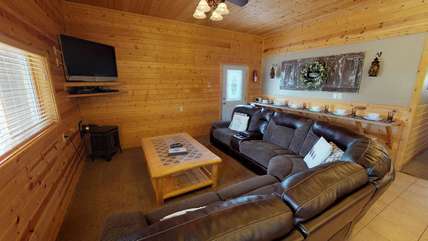 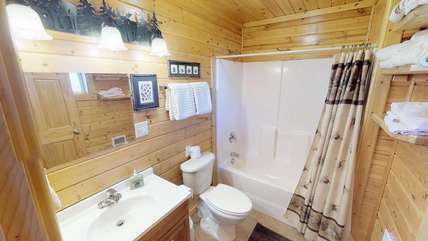 With large door entrances, one of two bathrooms has a large walk in shower and everything being on one level this cabin is handicap accessible. open living room connected to a large fully equipped kitchen with all the amenities to make yummy family meals. Two private bathrooms occupy the back of the home with a laundry area for guest's convenience. 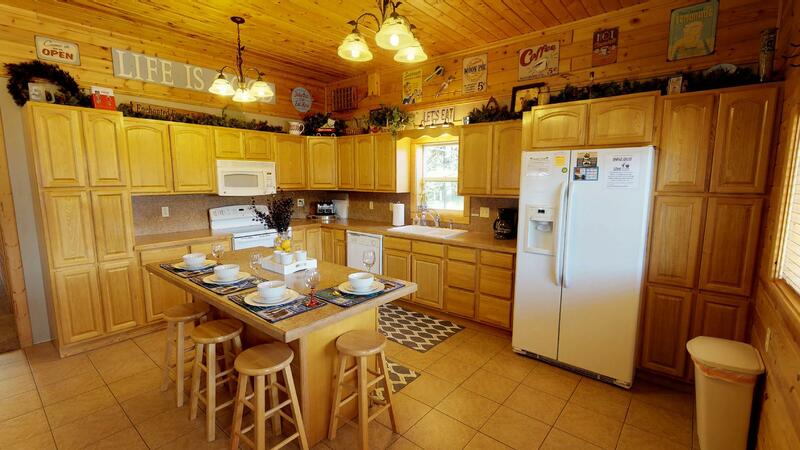 In between the kitchen and bathrooms sit the four bedrooms. 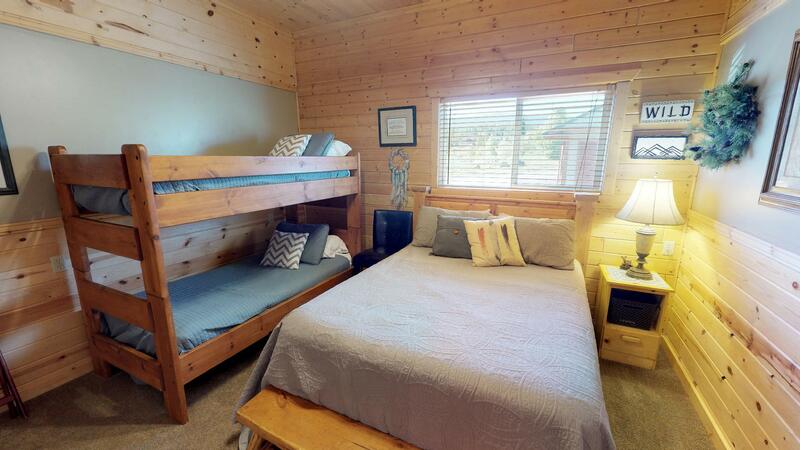 Two of the four have a queen bed along with a bunk bed. *We added convenience for our guests who stay with at our Enchanted Forest Resort. 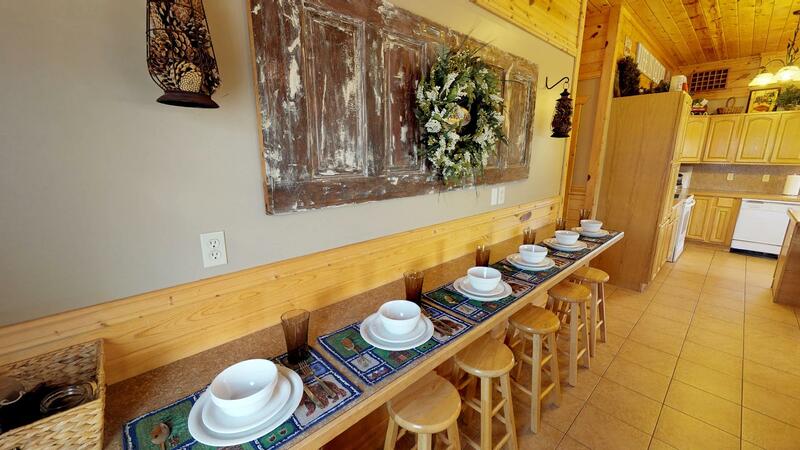 saving our guests time and money. 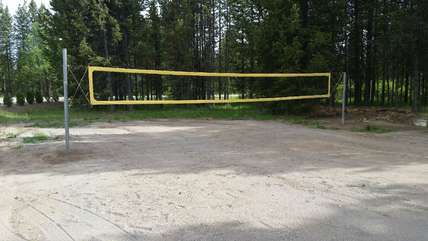 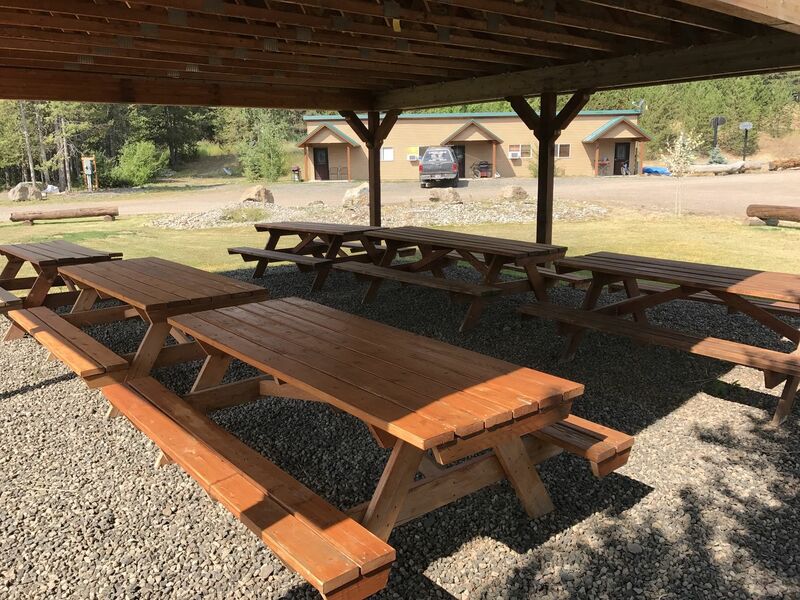 *Trash dumpsters are available on site near cabin, so no need to haul messy trash and pay landfill fees. 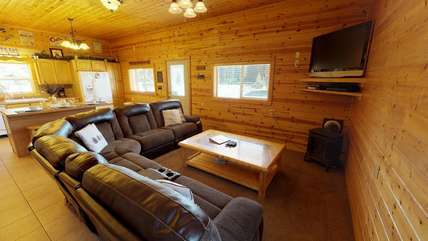 Living room has large leather sectional sofa with 2-recliners.